If you’ve read my previous book reviews, science fantasy isn’t my favorite genre. Most writers of the section go over-the-top in realms that are too unrealistic. Or there are super-strong, super-smart, superiority complexes and the list goes on. 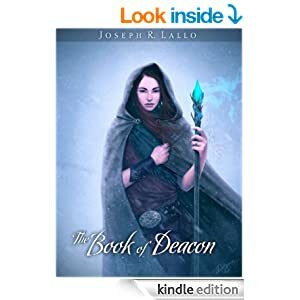 What Lallo does is create a fantasy realm that is well within reason-talking animal/human hybrids, magic and war are believable in this tome. Even though this series is geared towards secondary school, adults will also enjoy the storytelling. The world he creates you can visualize as you read-the harsh, snow and ice covered plains, the dilapidated, crushed, war torn towns, villagers in rags, stealing food. It’s all very realistic as we meet the protagonist, Myranda. Myranda must go through trials, tribulations and threats to find out who she is, a great metaphor for kids and adults alike on actions and consequences. Loved the mix of adventure, magic and a school of magic, the friendships Lallo creates between humans and human/animal hybrids. Of course there is duplicity, as in real life, and Myranda must live through betrayal and friendship, as we all must. I give 5 stars.